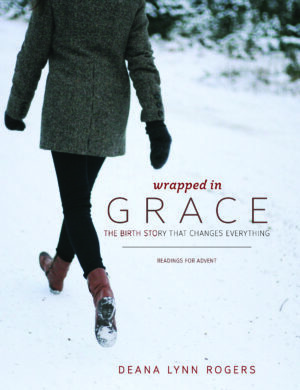 Wrapped in Grace > Blog > Uncategorized > New Books are here! One of my favorite things about the Christmas story is how God used ordinary people who were willing to say YES to him, to tell his story. Mary was a teenage girl planning her wedding when God asked her to be his birth mom. What was it that fostered her faith and gave her the courage to say YES to him? And why did God choose to be born in a town where there weren’t enough beds for everyone? Any other weekend might have been a little less crowded, but he chose to come into the chaos. I think he still does. 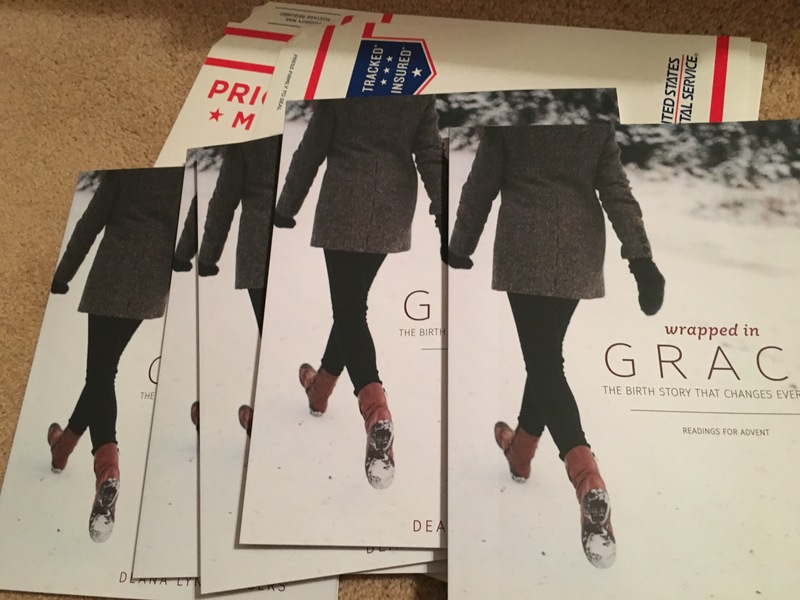 Wrapped in Grace is designed to be read during the Advent season — the four weeks leading up to Christmas. On the first day of each week there is a longer retelling of part of the Christmas story, or sometimes, the backstory. During the rest of the week, there are shorter readings, prayers, carols, and spaces to journal. Use this book in whatever way fits your schedule during the season, alone with a cup of tea, together with your friends, or around the table with your family. Advent begins on Sunday, November 27th. Books are ready for shipping and will be mailed within 24 hours of receiving your order. If you are ordering for your church or large group, please contact me for group pricing. Thanks so much for sharing the season with me! Subscribe to be notified of new blog posts via email if you’d like, and feel free to follow me on Twitter, Instagram, and Facebook. How can I order your book? Thanks for wanting to buy a book! I rearranged the navigation bar to make it a little easier I think. You an click on Wrapped in Grace at the top of the screen — the dropdown menu will take you to “Buy the Book” and you can follow the prompts. Or, I just added a sidebar option so you can click on the book on the right side of the page and it should take you right to the order page. Looking forward to sharing this season with you!